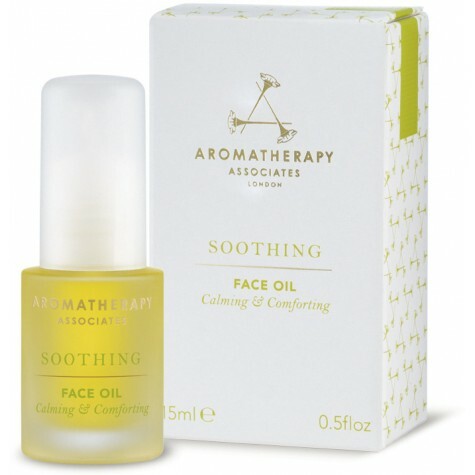 I’ve been trying out a few of the products from the Aromatherapy Associates Soothing range and have to say that I rather like the Calming & Comforting face oil for days in front of the computer. I have my little fan heater on during “at-home’ days because it’s pointless heating the entire house when I’m stuck in one room, but the downside of this is that the air gets very dry. Moisturiser doesn’t really cut it, and I just want something quite straightforward to massage into my skin and keep it from wizening up into an old witch’s prune-skin. The Soothing Face Oil is lovely – nothing too overscented or complicated, and doesn’t seem to be flaring up any spots or sensitivities. It’s actually aimed at sensitive or reactive skin, so that could be why it feels so pleasingly gentle. I’m not so keen on the cleansing balm, and that’s because it’s one of those ultra-moisturising ones that leaves a residue. A bit like the Organic Pharmacy Carrot Butter or the Antipodes version. Great for those with very dry skin, perhaps, but not for me with my combination face. It’s a suitability thing, rather than any problem with the product – the texture is lovely and it removes makeup really well. I’d love to hear from you in the comments if you’ve tried this and have drier skin! The Soothing range from Aromatherapy Associates is on FeelUnique and has free delivery – I’ll be doing a face oil “roundup” soon! Previous Post Korres Fragrance: Pepper, Jasmine, Gaiac Wood. Next Post How to Choose a Party Dress!